Greg focuses his practice on professional liability defense, including lawyers and engineering and design professionals, as well as defense of products liability matters, automobile and trucking, and homeowners’ lawsuits. Greg has defended several Federal Debt Collection Practices Act matters and claims involving bankruptcy issues. Greg was named as a Pennsylvania “Super Lawyer” “Rising Star” by Philadelphia Magazine in the area of Civil Litigation Defense and Professional Liability Defense. Greg advises the Duquesne University legal clinic on ethics and teachess law students studying for the bar exam. 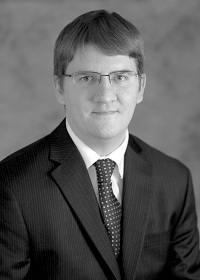 Greg teaches Pennsylvania Civil Procedure at the Duquesne University School of Law.